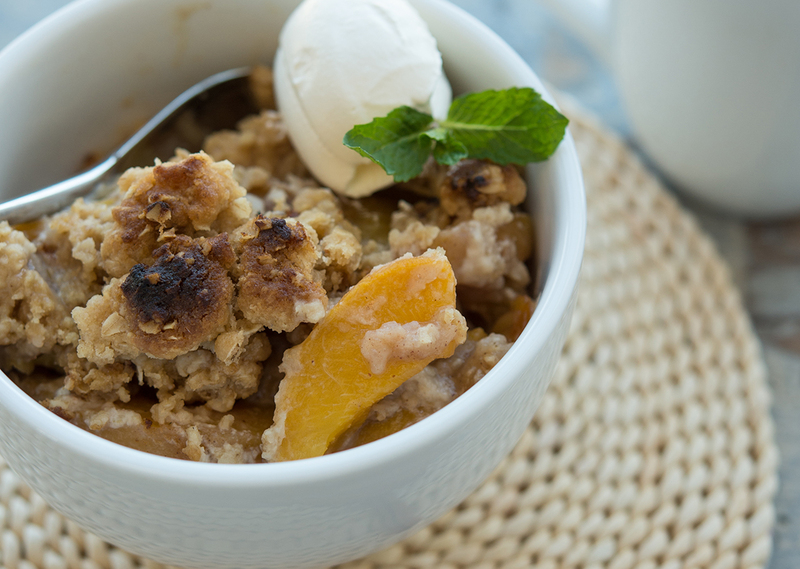 In medium bowl, stir together peaches, sugar, flour, 1½ Tbsp. cinnamon, cardamom and vanilla extract. Pour peach mixture into preheated griddle plate and cook on LOW broil for 10 minutes, until peaches have started to soften. In medium bowl, whisk together pancake mix, oats, brown sugar, salt and butter. 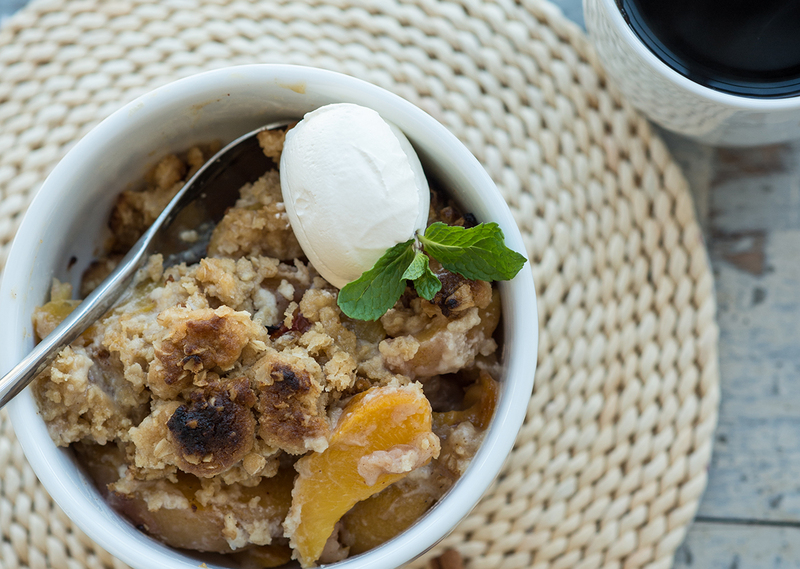 Sprinkle oat mixture over peaches and cook on LOW broil for 8 to 10 minutes, or until crumble starts to brown. Tip: Serve topped with ice cream, if desired.